Why Can’t Anyone Produce A Shampoo That Is Healthy And Also Works Great? 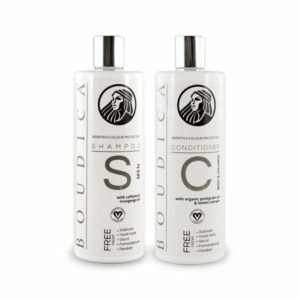 Control Shampoo & Smooth & Shine Cond. Men Shampoo & Body & Volume Cond. Men Shampoo & Smooth & Shine Cond. Control Shampoo & Intense & Enriching Cond. Men Shampoo & Intense & Enriching Cond. This seems like a simple enough proposition. One would think that after all these years and with many millions invested, that our greatest scientists and hair artists would have already done this. But one look at the high numbered (un-healthy) ingredients, bottom graph below, of a so called “mild” shampoo, tells us that this is not the case. Many of these ingredients in this best-selling brand rank above three, based on the authoritative Environmental Working Group/Skin Deep (EWG) ingredients rating. 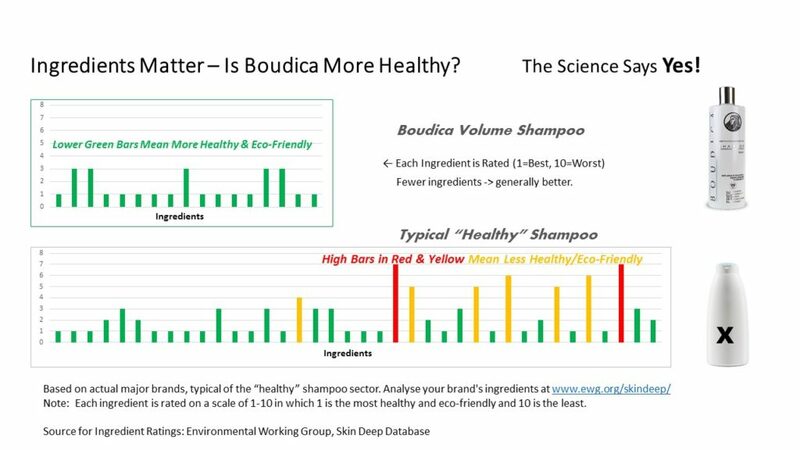 By comparison, Boudica (top graph) has mainly level one, or the healthiest ingredients and also fewer ingredients. Scientists and nature lovers alike consider fewer ingredients to be better, all other things being equal.  By the way, you may check the ingredients on the back label of your own brand, on the EWG website, listed above. One widely used ingredient, which we’ve avoided is METHYLISOTHIAZOLINONE, a preservative known to be lethal to brain cells, irritating and allergy-inducing. It is effective and is very cheap, which presumably accounts for its popularity among large producers. Other ingredients such as the somewhat toxic PROPYLENE GLYCOL, help to keep your hair soft, but should really be left as the antifreeze in our motor vehicles, in our opinion. Remember, users of these products place these undesirable ingredients on their head, where they can be absorbed through the pores of the scalp. Furthermore, we inevitably swallow a small amount of shampoo when showering, allowing toxic ingredients direct access to the digestive track…not good. On the other hand, we’ve heard in the news lately about the plethora of “healthy” brands that either have a high pH, have caused real damage to hair and scalp, often don’t foam (so people showering can’t confirm complete hair coverage) and perhaps worst of all, produce poor hair results. It’s great to be healthy, but a shampoo needs to perform as well. Each of our ingredients has to earn its place in our formulations, so your hair gets exactly the natural oils and ingredients that it needs – nothing more, nothing less. We’re thrilled to have recently received 4.9/5.0 feedback rating from our UK Amazon customers, proving how happy our customers are with using BOUDICA , allowing them to have the beautiful, healthy hair that nature intended. 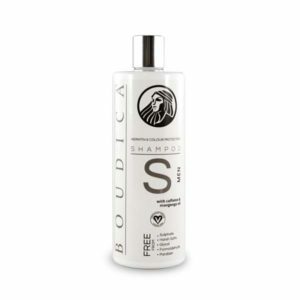 Another great benefit of leaving out nasties such as sulphates, glycol, harsh salts and toxic preservatives is Boudica’s friendliness towards keratin & colour-treated hair colour. At Boudica Naturals, we search nature for the exact natural oils, extracts and nutrients that your hair needs, then blend these together in our different formulations to allow them to work perfectly with your hair, whether it is keratin-treated, coloured, or simply natural. So why are we unique in creating a healthy, high-performing shampoo and conditioner? We often ask ourselves the same question. We think it’s because we’re a small, nimble company, with a burning commitment to both nature and science, having a unique background in product development and supply. 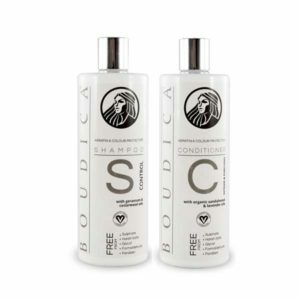 We are so proud of producing Boudica shampoos and conditioners, grateful to our customers and humbled by Boudica’s success. “Excellent product, suits my hair and is safe for the environment, what more could I want! Please contact Boudica for distributor inquiries or product questions. We periodically offer web-only special offers. Please add the words "opt out" in the comments if you do not wish to be kept informed.